DimensionsHeight: 35 in. (88.90 cm) Width: 56 in. (142.24 cm) Depth: 4.5 in. 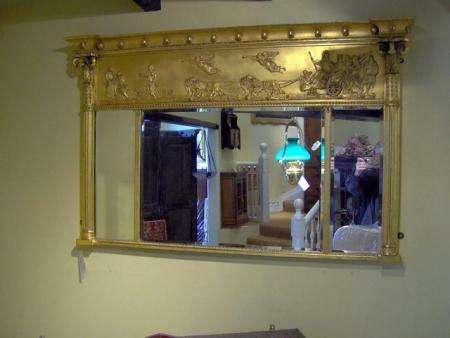 Description / Expertise: Regency Gilded Gesso Tryptich Mirror Flanked by Corinthian Columns with a Frieze Depicting a Roman Centurion Returning Victoriously from African Campaign c1820. Ref. 2517.